A goods marketplace for good people. 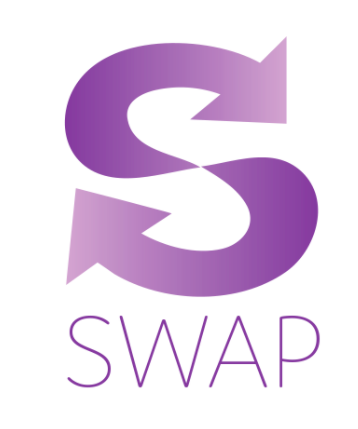 Swap is a social media based second-hand marketplace that connects you to people you trust. As young urban professionals seek options for saving money and getting a ‘bang for their buck’, they are turning to secondhand marketplaces like LetGo, Craigslist and Facebook Marketplace. When buying/borrowing things through these websites at lesser to no cost, users are experiencing many complications. These complications revolve around reminding others to return items, receiving damaged goods, difficulty with transportation, lack of security, undeveloped interfaces and unresponsive buyers. The competitive landscape for Swap consists of four major players: Facebook Marketplace/item groups, Craigslist, Letgo and Peerby. Many young adults use Facebook “Free and For Sale” groups to find items, event tickets, and sublets within their community. However, these groups do little to help these users. Facebook Marketplace also does not make it easy to list items. Many find frustration in a lack of selection and responsiveness from sellers. Craigslist is also another popular tool for finding items. Craigslist has a large selection of items, but users sometimes feel unsafe or unsure of the legitimacy of these transactions. Letgo is an online peer-to-peer used goods marketplace that allows its users to buy and sell items to people in their area. Peerby is an item sharing marketplace that focuses on people in close proximity to its users. Peerby isn’t very well known in the United States and has a very small following. Both Letgo and Peerby, like Craigslist, connect users to people they don’t know and does little to insure that their users won’t get harmed or slighted in their transactions. Swap acknowledges the big name competitors in our space, however, we believe our value proposition sets us apart from our competitors. Don’t Let It Get Awkward: Don’t pester your friends to get things back. No need to constantly remind your frat brother to return your vape, Swap will help set reminders for return dates on your exchanged items. It can also pair you up with Venmo, Amazon and Local Dry Cleaners to ensure any damages are taken care of. Don’t Break Your Back: Don’t let the distance or size of your transaction affect your purchase. Swap can help arrange the transportation of your purchase. If you want a $15 futon from Williamsburg, don’t let the distance or the unreliable L-train hold you back. Have someone else break his or her back for you! Don’t Buy Things From Strangers: Don’t email sketchy999@craigslist.com and deal with uncomfortable interactions, unreliable products and unresponsive users. Swap will connect you with people in your circle that can be held accountable through social media!. Swap will use a freemium subscription model similar to Spotify, Dropbox, Tinder and Amazon Prime. We found that the freemium model allows you to initially gain more users for free on a simpler, watered-down version. If our application is enjoyable and users want premium features, they can chose to upgrade. Our free version will allow users to lend/borrow/buy/sell items between their Facebook friends (first degree connections). If users want a larger marketplace, they can subscribe to our premium service which will connect them to mutual Facebook friends (second degree connections). Our premium services will cost $5 per month and $3 per month for students. Discounted prices will help us attract our target market. We feel that $5 is a reasonable cost as people who are in search of a bargain will pay a low fee to access more items. Swap will take a 0.5% transaction fee on all payments. Our supplementary revenue includes an 8.5% transaction value if we refer users who broke a rented/borrowed item to Amazon for a replacement and $5 Uber referral fee if our users chose to transport their items using UberRUSH.